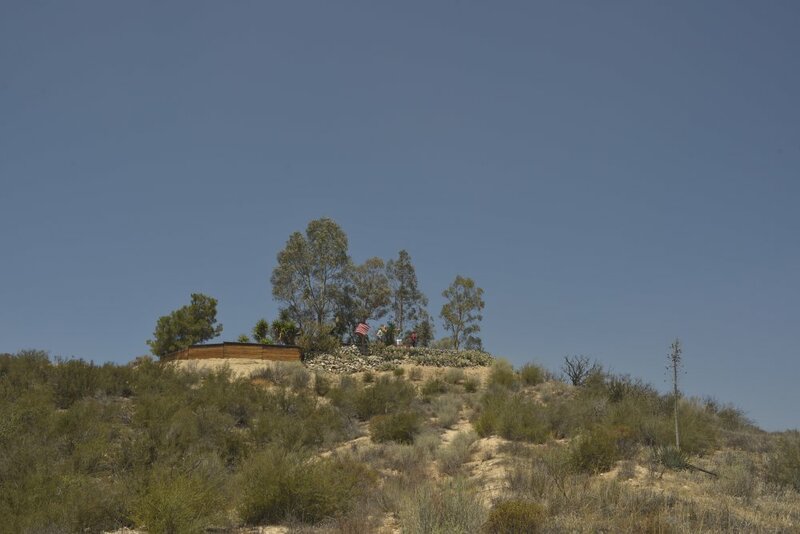 A photographic tour around Hill 582 by Kim Nipkow taken on July 24, 2015. 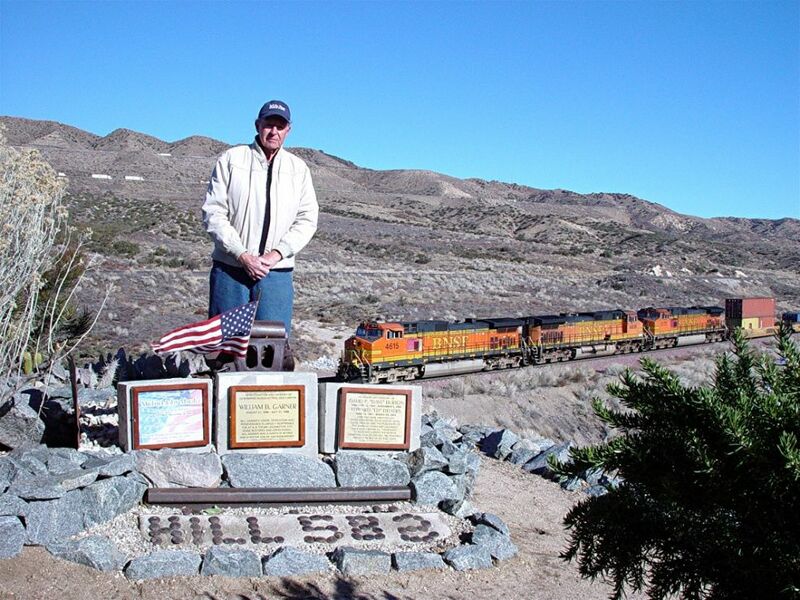 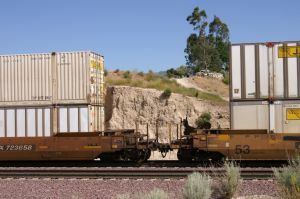 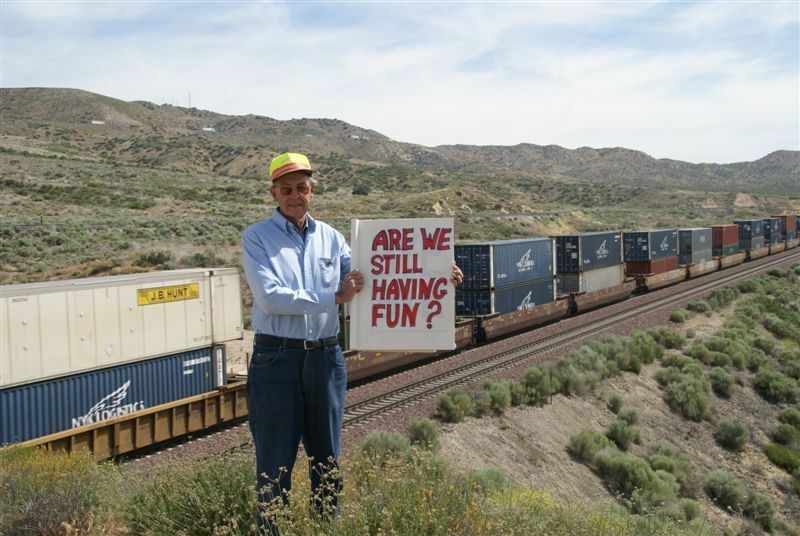 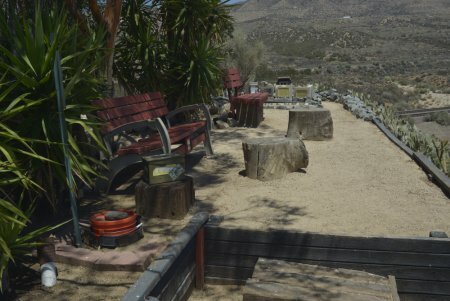 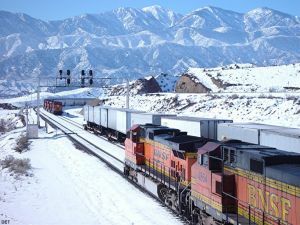 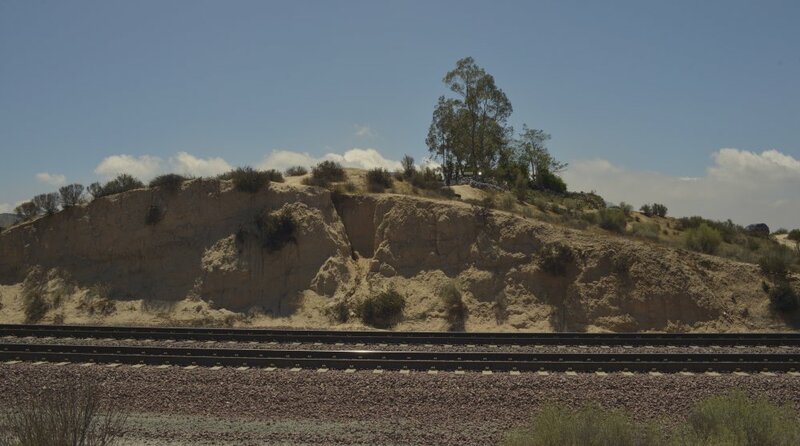 Second in popularity only to California's Tehachapi Pass and the famous Tehachapi Loop, Southern California's Cajon Pass attracts rail enthusiasts from throughout the United States and Canada as well as many foreign countries world-wide. 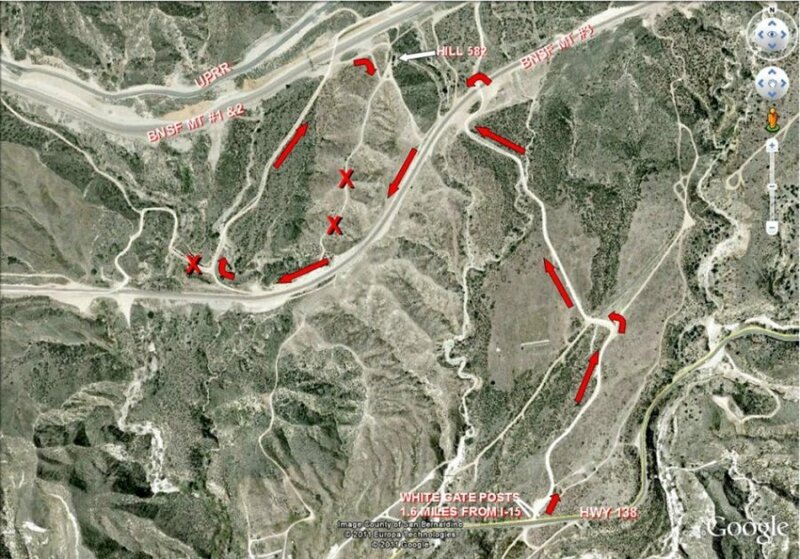 Below is a map with direction to access Hill 582. 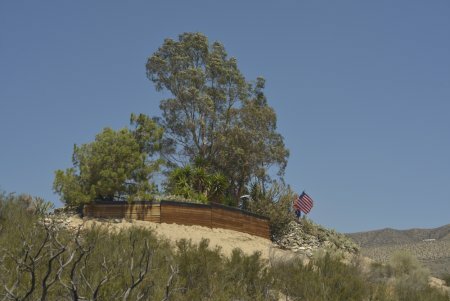 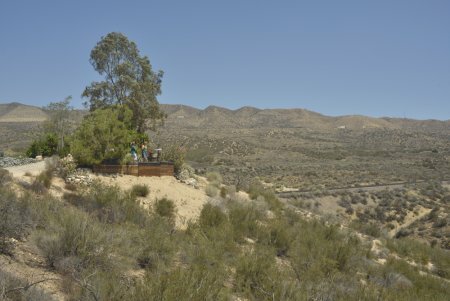 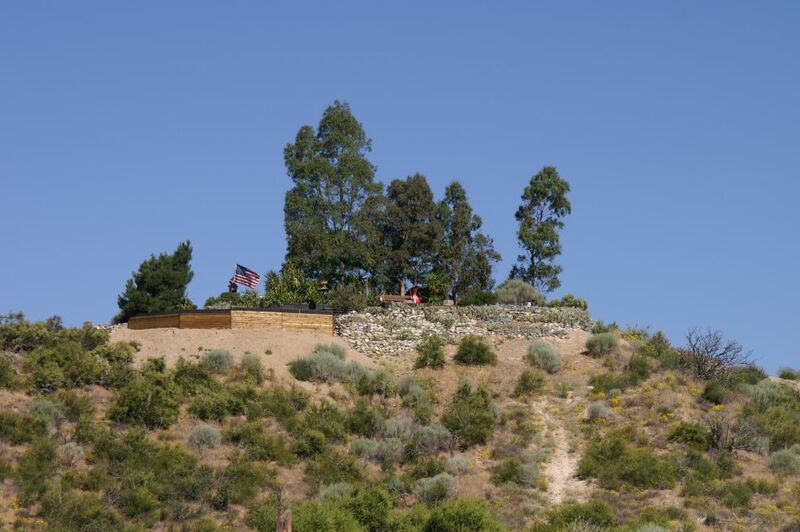 Hill 582 is located in the San Bernardino National Forest on United States Forest Service (USFS) land, thus making it accessible to the public. 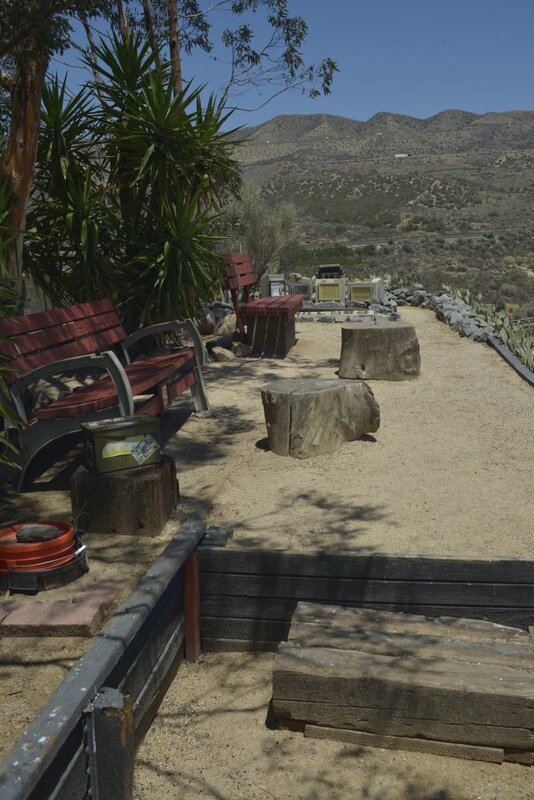 It is strategically located in the upper Cajon Pass approximately two miles below Summit at an elevation of 3621 feet. 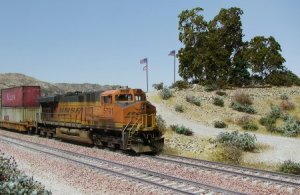 The BNSF #1 and #2 main tracks pass through a cut at the north end of Hill 582, and the steeper BNSF #3 main track passes by the south end of the Hill. 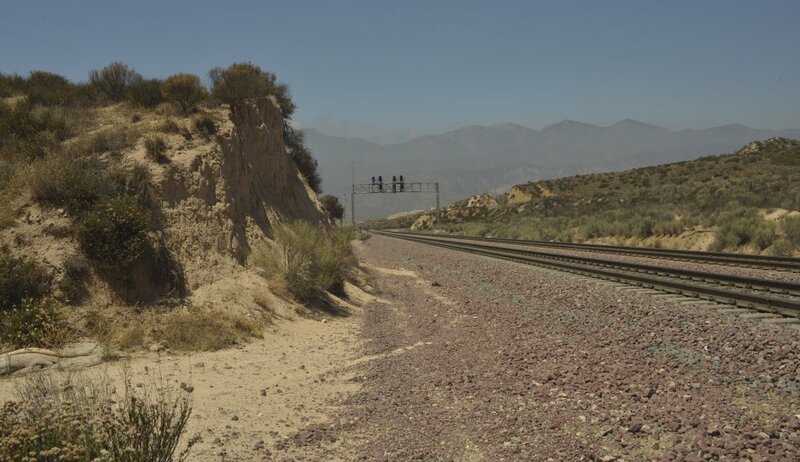 The Union Pacific's "Palmdale Cutoff" main line runs parallel to BNSF a short distance north of the #1 and #2 tracks. 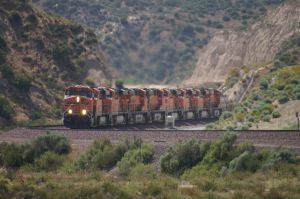 Prior to 2001, access to Hill 582 from State Route 138 was provided entirely by USFS road 3N48 without the need to drive on BNSF right-of-way roads. 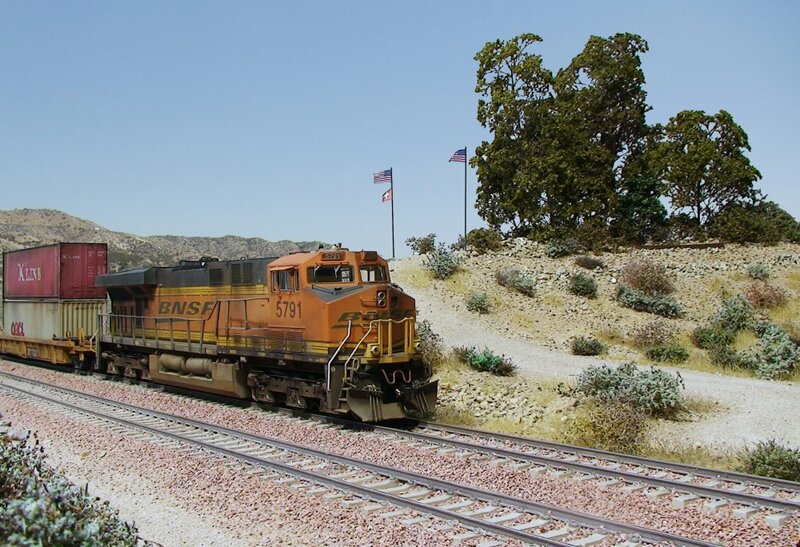 Unfortunately, BNSF permanently removed a paved crossing at the northwest corner of the Hill in 2001, making it necessary to drive a short distance along the BNSF right-of-way road on the north side of track #3. 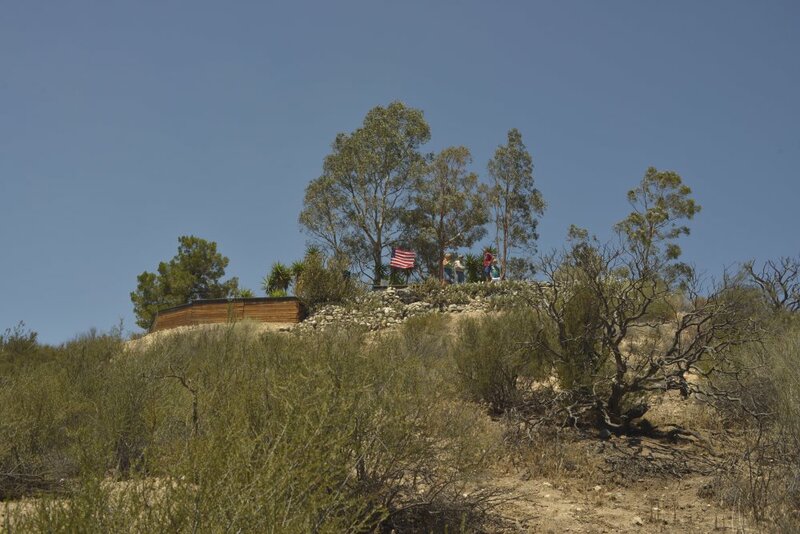 Detailed directions for driving to the Hill from SR 138 using USFS road 3N48, also known as Parker Ranch Road, can be found below. Since Hill 582 commands views of railroad tracks in virtually all directions, it is very popular among railroad photographers. 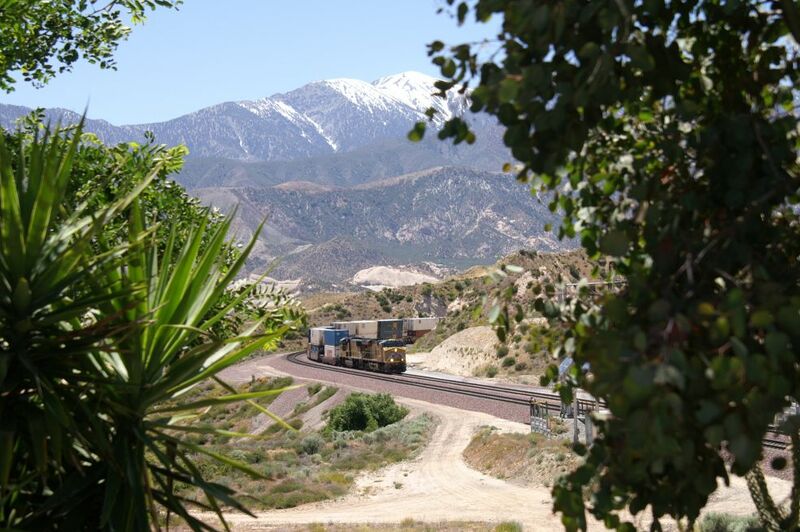 Perhaps the most photographed view in the entire Pass is from Hill 582 looking west during the winter months towards the BNSF tracks with the snow-covered San Gabriel Mountains in the background. 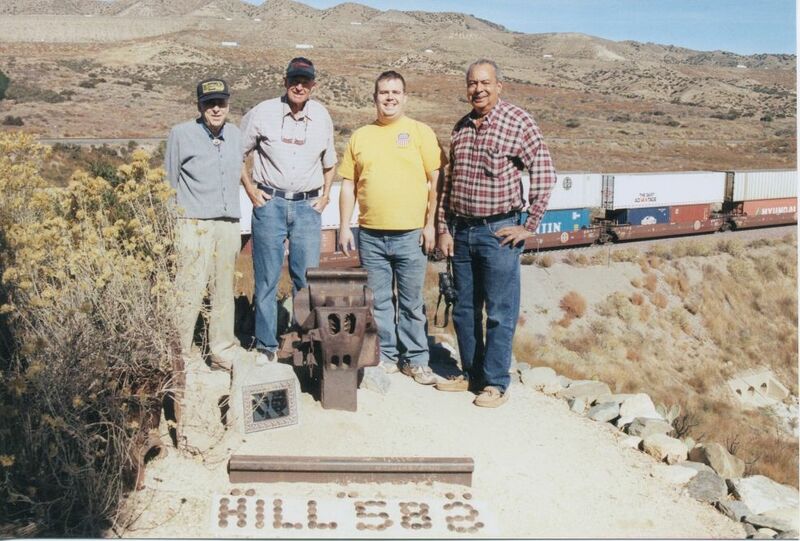 Hill 582 is also a popular rest spot for off-highway vehicle enthusiasts that frequent the upper Pass. Bird-watchers also gather on the Hill, as a constant supply of seed is provided for the birds in a feeder on the east side of the Hill. 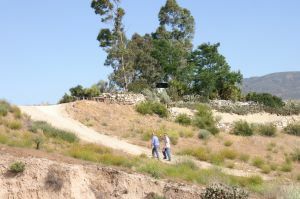 A wide variety of birds are attracted to the Hill - from large black ravens to tiny irradescent hummingbirds. Ground squirrels are common, and during the night, rats and mice are said to be all over the place. 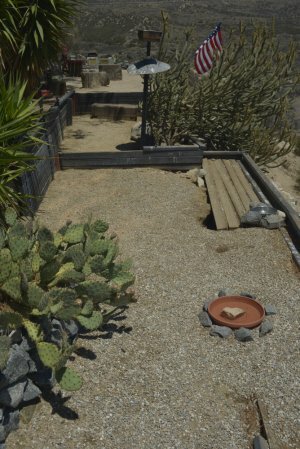 The rodents attract several snake varieties, including Southern Pacific rattlesnakes, King snakes and gopher snakes. 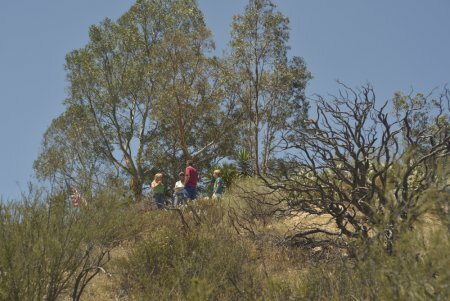 Lizards also are abundant, and cottontail and jack rabbits are once again being seen. Rabbits have been scarce since the major brush fire that scorched Hill 582 in June, 2002. 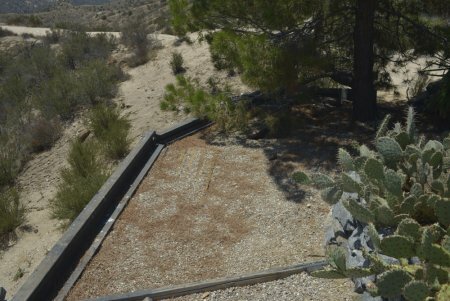 Tarantula sightings have become rare, but black widow spiders are common some years and scarce others. Below is a Google map showing directions to Hill 582. 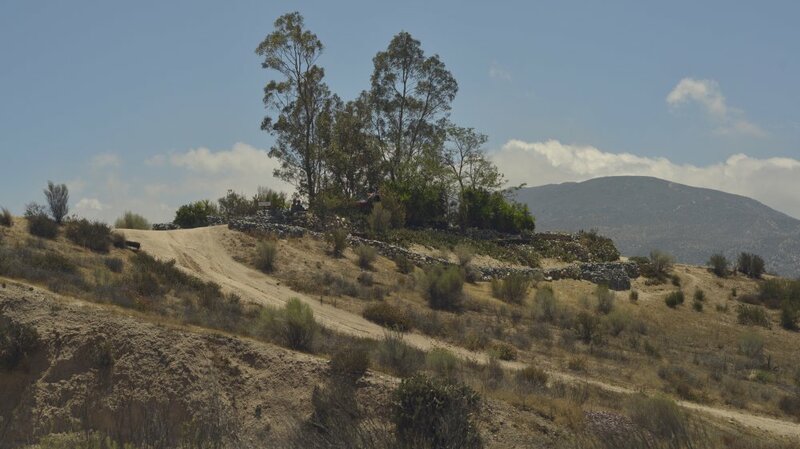 Here is an edited Google map showing the most common route used to visit Cajon Hill 582. 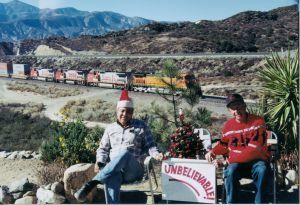 Yearly, hundreds of railfans visit the Hill without incident, however we feel it necessary to enclose several "cautions". 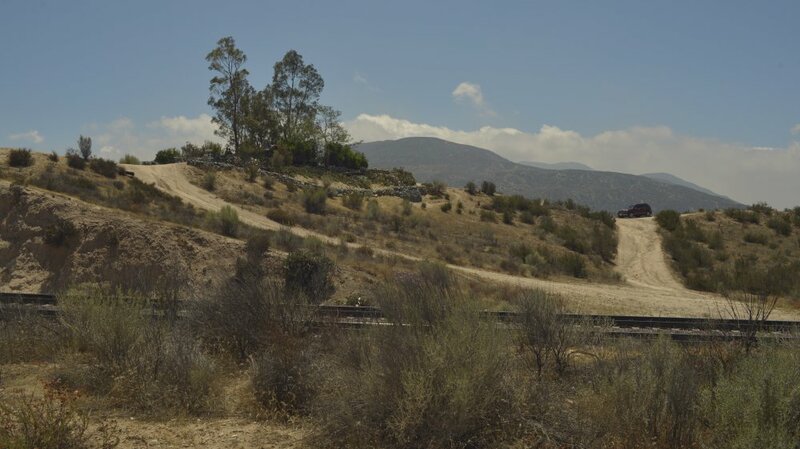 Hwy 138 is a very narrow, winding and high-speed road. 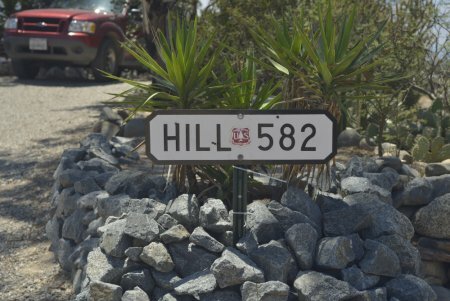 The turn onto the Hill 582 road can be dangerous. 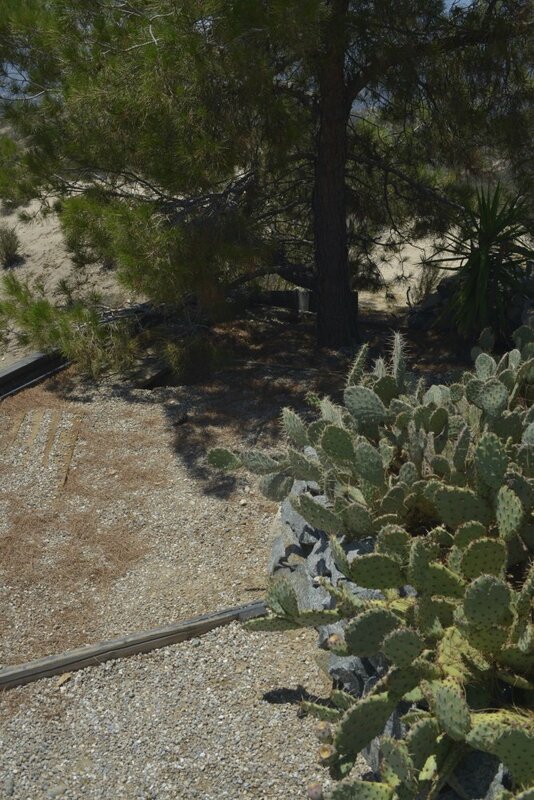 The turn-off is 1.6 miles from I-15. 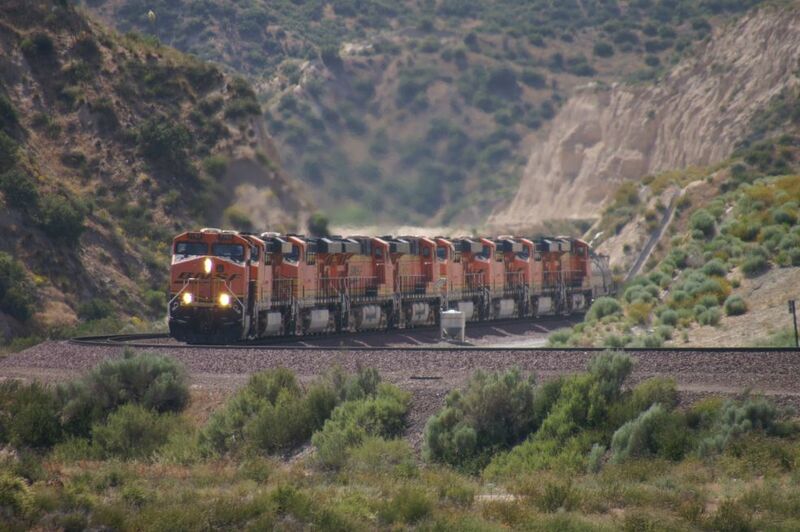 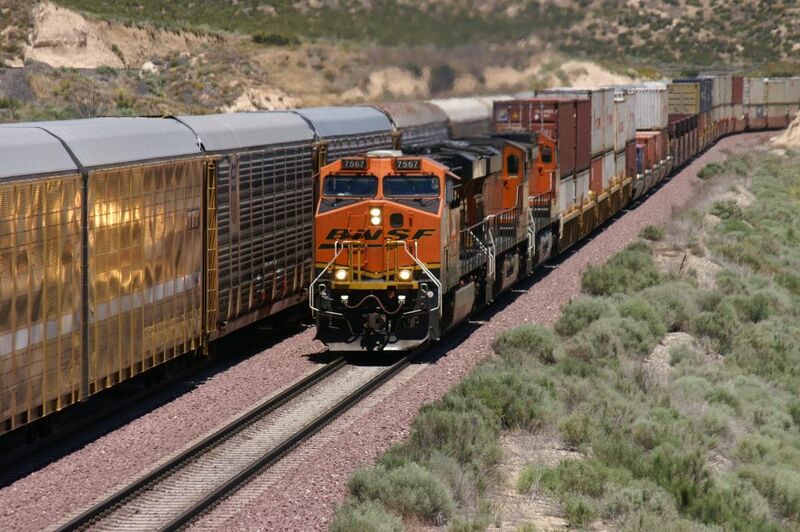 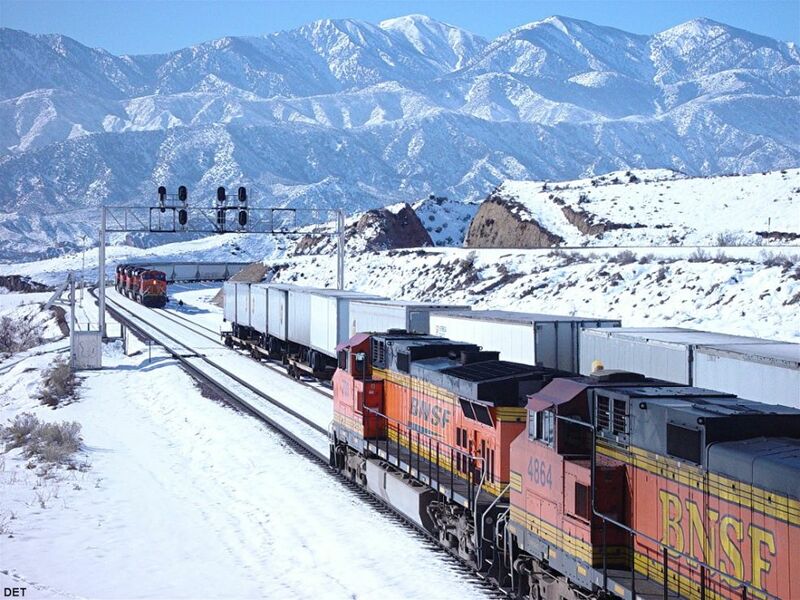 The road crossing of BNSF MT-3 deserves considerable caution. The dirt roads leading to Hill 582 (1.3 miles) are NOT maintained and are very rough. We see numerous automobiles on the Hill but a vehicle with some clearance is recommended. 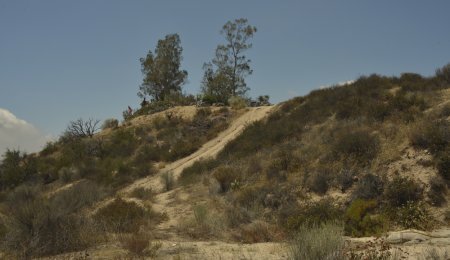 On the map, the roads with a large red X should NOT be used. Snakes and Bee Hives are common throughout Cajon. Rattle Snakes are seen frequently. 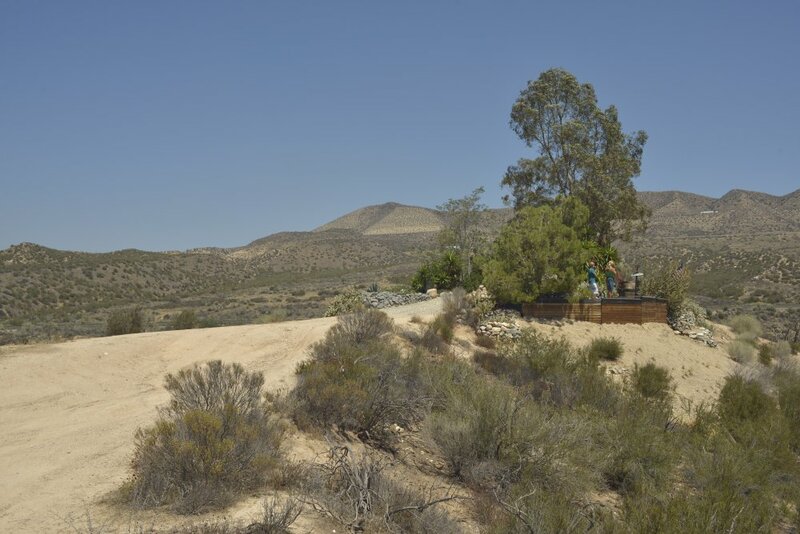 Children and pets should be closely monitored when visiting all areas of Cajon Pass. Common sense rules of exploring any desert should be adhered to. So far, the USFS and BNSF have "tolerated" our presence on Hill 582. 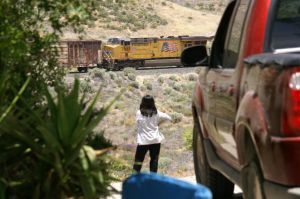 Please respect the land and stay away from the tracks. 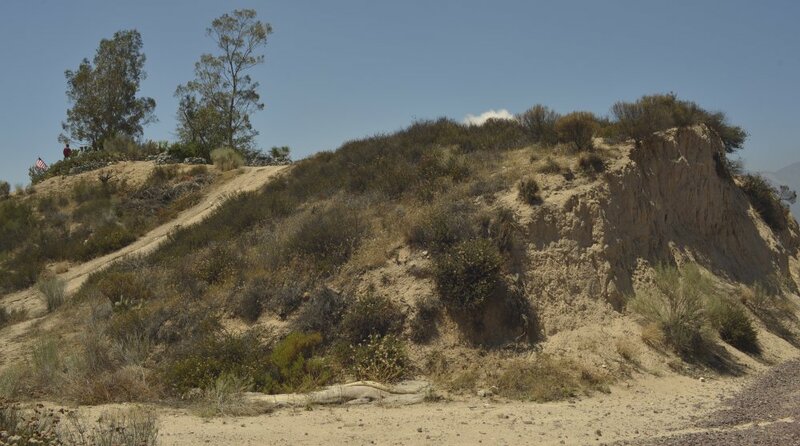 March 5, 2011 - The unpaved road into Hill 582 from State Route 138, designated as 3N48 on some US Forest Service maps, is not regularly maintained by any government agency. Above average rainfall this winter has caused some damage to the road. Currently the road is passable for most vehicles, but drivers of vehicles with limited clearance should be extra-cautious.